Staff: The Employee Assembly voted on December 6, 1995 to adopt the following as the charter of the university benefits committee. Faculty: The Executive Committee of the Faculty Council of Representatives, succeeded by The Faculty Senate in January, 1996, adopted the following as the Charter of the University Benefits Committee. The Mission of the University Benefits Committee is to act as the voice of Employees on all matters elating to Benefits. The Committee will deal with the entire range of benefits. The complete list of Benefits includes social security, group life insurance, accidental death and dismemberment insurance, retirement-related benefits, short-and long-term disability, select (health) benefits, workers’ compensation, unemployment insurance, holidays, military training leave, jury duty, training programs, extramural educational programs, employee assistance program (personal, job related problems), group auto insurance, health insurance and services, dental insurance, vacations, Cornell Children’s Tuition Plan, Employee tuition aid, employee degree program. The committee will deal with both Endowed and Statutory Benefits. The Committee will take both a short-run and long-run view of benefits issues. Ad Hoc Committees: The committee chair may appoint Ad Hoc Committees, as needed, to undertake specialized in investigations and to report back information and recommendations to the parent committee. Each ad hoc committee will have at least one member from the parent committee. Outsiders with relevant experience will be appointed as needed. A. The Committee will act as a Sounding Board for UHRS on issues and proposals relating to Benefits. Similarly, UHRS will react to initiatives of the, UHRS will react to iinitiatives of the committee. B. As appropriate, UHRS staff members will meet with the Committee to share their expertise, information, analyses, research. C. UHRS will alert the Committee as early as possible as to crises (rising health costs, etc.) and incipient developments so that the Committee can respond. In the case of changes in health benefits, the Committee should be consulted at the very beginning of developments, e.g., at the beginning/during summer. 1. The committee will report regularly to the faculty senate and employee assembly. A. Committee members will each report to the group that he/she represents. B. 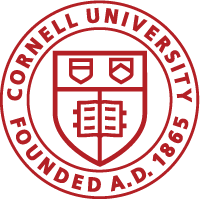 As appropriate, the committee will utilize the Cornell Chronicle, Cornell Work Place, Cornell Daily Sun and Networking to report on its activities. A. The goal is active, interested, informed participation. Members missing more than three consecutive meetings will become non-members and the group they represent will be asked to appoint a replacement. The initial Charter of the Committee did not specify how the Committee might modify its Charter or Operating Rules. To take official actions, a Quorum of Six Voting Members must be present. Future Terms will be Three Years. The committee voted to have a Rotating Membership such that about one-third of members would be new each year while two-thirds would be continuing. To effectuate this, the committee conducted a random drawing whose results are recorded in the minutes of July 18, 1996. If only 8 positions are currently filled, the Quorum will consist of Five Voting Members.